Close, but no cigar. 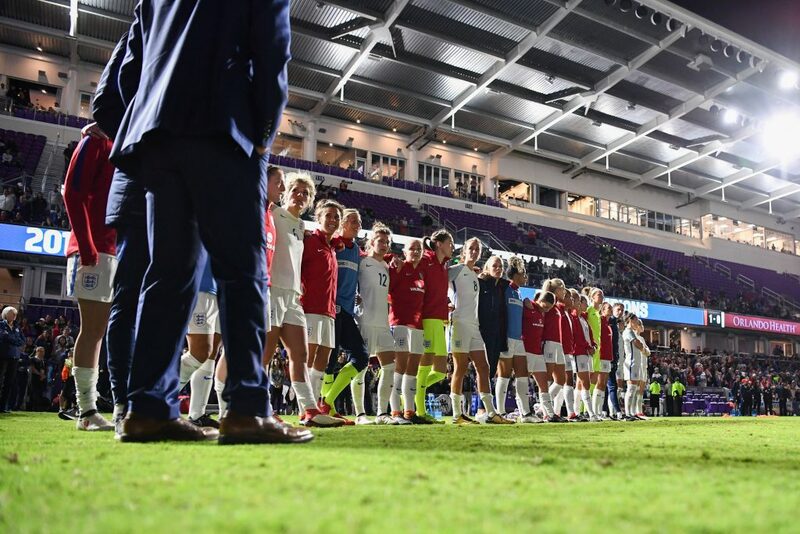 England talked of taking the game to the USA and really going for the win, to start Phil Neville’s tenure off with a tournament triumph. It’s easier said than done and the top ranked outfit showed they are still the team to beat as they dominated for long spells and ultimately deserved the 1-0 win on the night, even if their goal was a fortunate one (an OG given to Karen Bardsley – who had made a succession of outstanding saves and we’re surprised didn’t feature higher up the voting – you’re hard to please!). Of course we (players, staff, fans) are all disappointed but we aren’t dismayed – there was much to be encouraged by. And we’re looking forward to the Wales FIFA 2019 WWC qualifying game on 6th April at St. Mary’s Stadium, Southampton! ABBIE McMANUS & ELLEN WHITE both received 35% of the votes. Yeahhhhh! 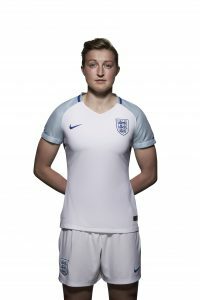 Called into the England squad after late drop outs from other players, then plunged into the action to make your debut early in the win against France (due to injury to Anita Asante), Abbie McManus then made starts against Germany and the U.S. They’re only the top two ranked teams in the world. And she thrived – in the USA game in particular. Sound positioning, good anticipation and reading of the game, important clearances, composure on the ball and all against world class forwards. 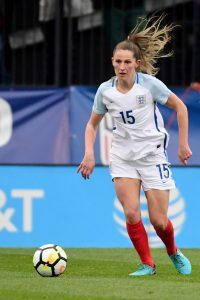 Ellen White also got your shout in this game because again, this time as a wide forward, her attitude was top notch, her efforts huge, her ‘almost’ late leveller came off the woodwork…her second year in fine form at this tournament – she loves the SheBelieves Cup. Thanks for your votes and massive thanks to our sponsors Soccer Mindset Academy. Check them out! 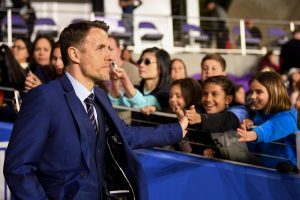 You can read Phil Neville’s post-match/tournament views HERE. Deb Hughes: Thought McManus had a great game tonight. Had my reservations about the call-up but she was calm against the world’s best and didn’t look out of place. Rook Meister: Outstanding from such a young, inexperienced player. Looking forward to seeing her develop in the national side. Anon: Second not bad results against top teams with a new manager and injuries. Well done England. THANKS TO SOCCER MINDSET & ENGLAND PLAYERS & STAFF, US SOCCER & YOU, THE VOTERS!